Caine London bring you bespoke. It's all about you baby! Matt Allchin and Hayley Caine's latest offering is a new way to wear what you want. 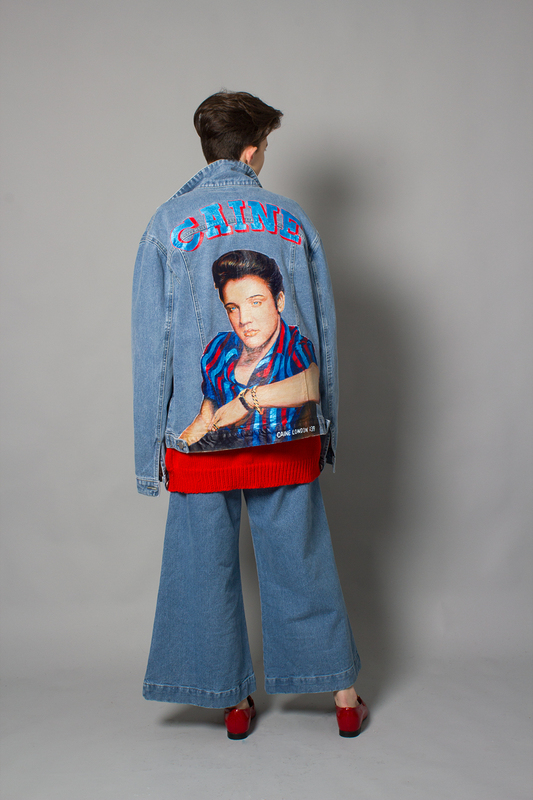 Having already painted bespoke pieces for Lady Gaga and Miley Cyrus the duo now offer you the opportunity to commission and personalise your very own Caine London, super lux denim jacket with whatever dreamy, hand-painted artwork your heart desires. It might be your favourite pet, or a relative or maybe the guy or girl of your dreams? 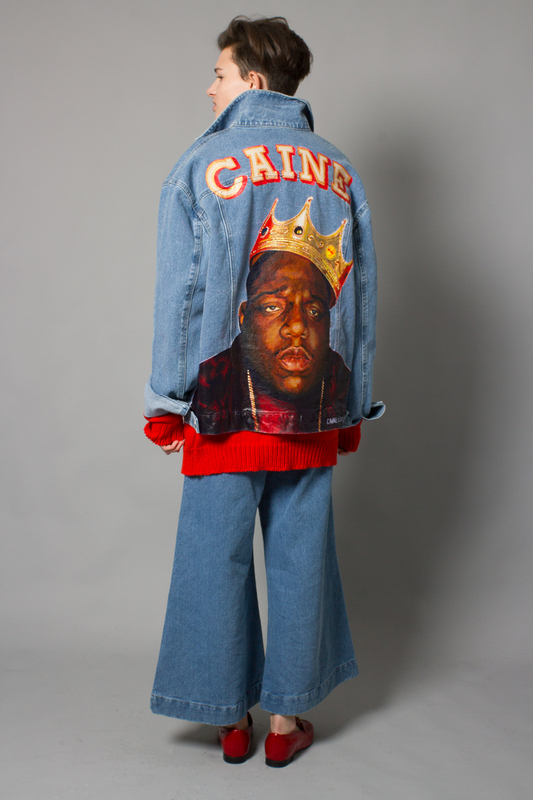 Simply send Caine London your image and they will incorporate it into one of their beautiful, decorative, hand-painted, denim designs. Contact us below to discuss your bespoke piece.